My task for when i get home is to fit a 7" android head unit with reversing camera, gps and wifi. I know roughly how i'll route the camera cable to the rear except how to get it to the top tailgate and where to mount the camera ? 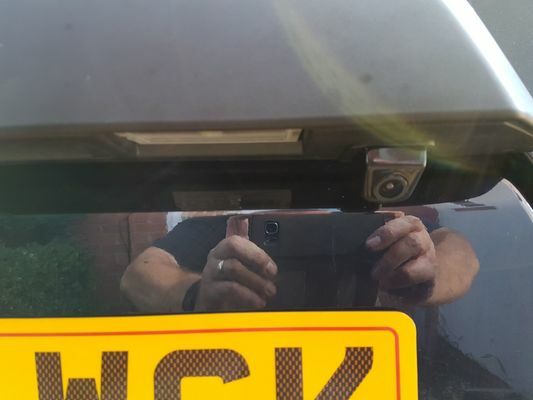 Number plate holder seems the logical location but will it be an issue being off center ? Mine mounted on upper tailgate handle, ran cable up rear pillar trim and into upper tailgate through the large rubber tube with all the other wiring. 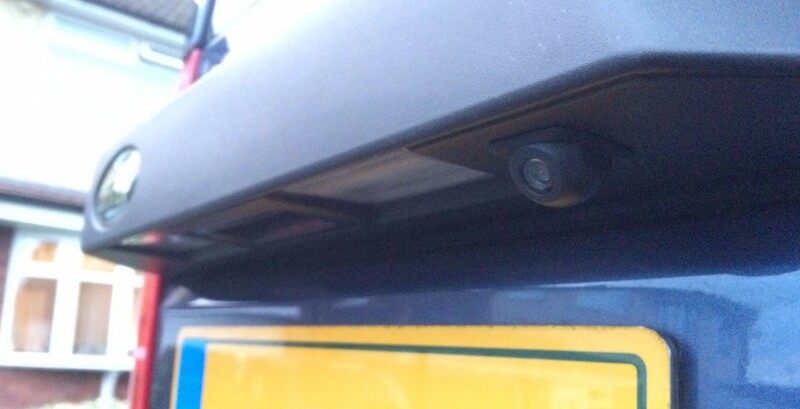 Locate your camera in the tailgate handle. Run the cable inside the handle, through into the tailgate, up the tailgate to the convoluted rubber tube into the cabin. From there, I run under the headlining to the near side C pillar. Down there onto the floor and along the cable tray up to the bonnet release lever, from there it's a short run behind the glove box. 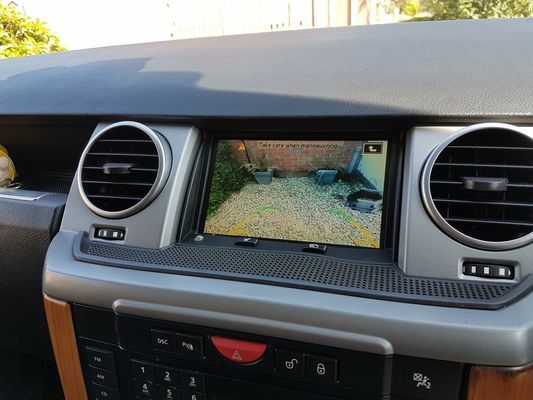 Garmin Nuvi + D4 Surround + Reversing Camera. I'm not scared, I'm outta here. Thanks blokes, i forgot that the plate is on the lower tailgate so handle mounting it is. Better check the cable length before i get too far into it. Damn, supplied cable is 6m so will need an extension. I ran a cable to a rear dashcam. There are two different tubes/ grommets to the top door. I used the one with the rear washer water pipe. There is a joint in the water pipe so I disconnected that pulled the wire through ( the plug on the end was a bit big ) and then pulled the water pipe back through. Also I pulled the grommet out of the frame to do this. It took seconds to put it back in position when I was finished. Why not use a quality wireless unit. 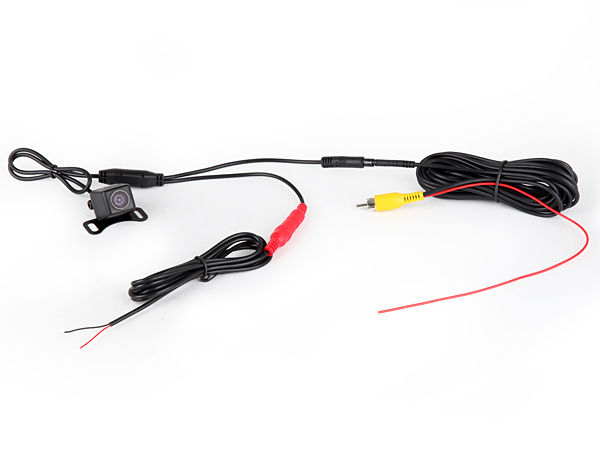 Head unit came with the camera, looks to be a standard single core RCA cable so thats no problem. I will need power for the camera which i should be able to pickup from the rear wiper i guess. starting the head unit install today, is there somewhere in the tailgate that i can pickup a + wire for the camera ? Well, there is ( number plate lights ), but your camera will only work when your lights are on if you do that. Best option, take a feed from the reverse light and run that upto the camera. That way, your camera powers up as soon as you select reverse. I'm not sure that i need to wire it to the reverse lights as i used a canbus compatible harness. Same cable as supplied with my camera except it doesnt have a red wire at the camera end and plug is different to allow for easier routing. I could be wrong but i may be able to power it from the head unit end rather than the rear, although from rear will mean i can use a standard RCA cable for the extension. You could put a bit of tape over the red wire near the camera. Ground the wire near the camera and see if it works!